Redeeming Gift Cards – How can we help? When a customer comes in to redeem their Gift Card, add their chosen products to the sale as you normally would on both Vend on Ipad and the Web Register. Once the customer is happy with their selection, click pay. 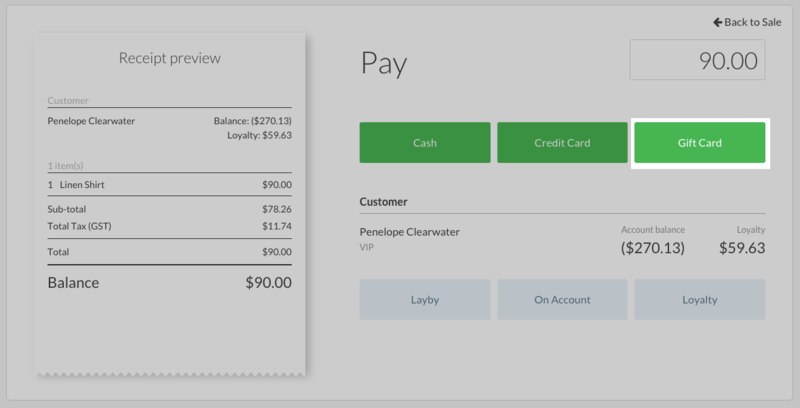 This will take you to the payment screen. To accept payment using a Gift Card, select the Gift Card Payment type. This will prompt you to scan or input the gift card's unique code. Tip: You can use this process to check the balance of a customer's gift card. After the code has been successfully entered, you can click Pay with gift card to complete the sale. Getting a message that says "Gift Card not Activated?" 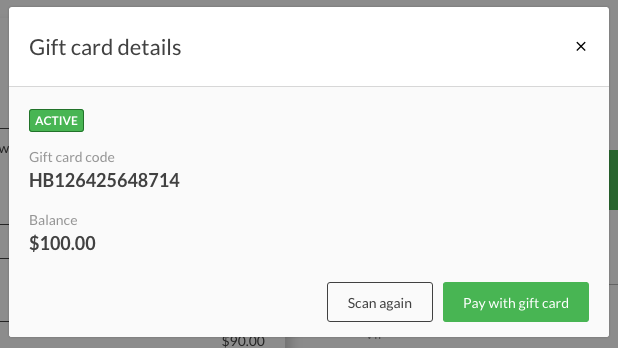 Try scanning the card again or entering it in manually and check that the code on the screen matches the one on the customer's card. If the error occurs again, then the gift card is not yet activated. If a customer's sale total is greater than the balance on their gift card, you'll need to confirm the removal of their full balance and process the outstanding balance using another payment method. Tip: If the customer only wants to spend part of their gift card, adjust the amount tendered balance in the payment screen before selecting the gift card payment type.